Welcome to 5K in Cincinnati. 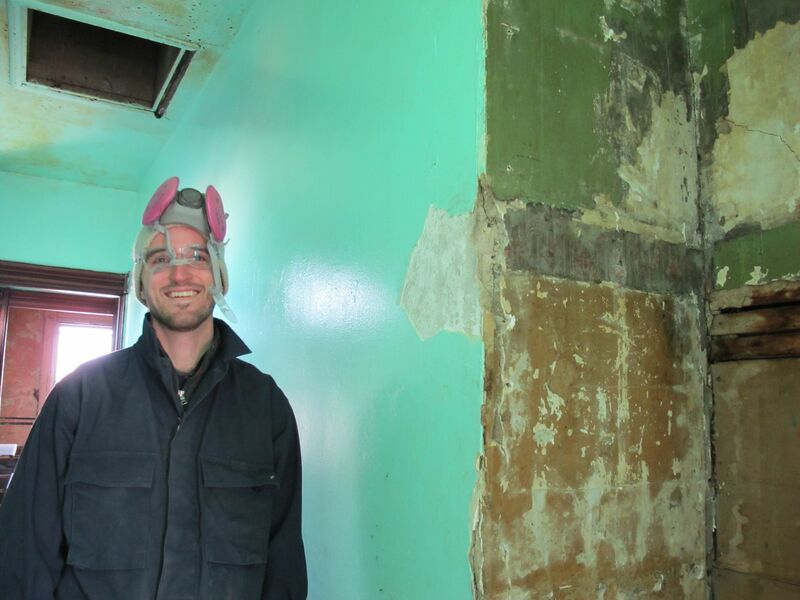 This blog will chronicle the revitalization of a house in the Camp Washington neighborhood. And yes, it cost just $5000. The plan is to transform the house into a beautiful, unique home. You will be able to follow progress on the house by visiting the “Home” page for the blog. There, you will find posts that are routinely updated with the most recent activity, so you may need to scroll back through earlier posts to get a sense of how things have changed. Press the “follow” button to receive the updates automatically. Who are the characters involved? For the most part, it’s just one person. His name is Mark. And as it happens, the house in question is just down the block from where Mark lives, in an old warehouse that includes a work and storage space, in addition to a beautiful apartment upstairs. Suffice it to say, it’s a neighborhood that Mark knows intimately. In fact, years ago his mom used this warehouse space as a ceramics studio. But we’ll come back to that. And I’ll abbreviate my description of Mark because you can read more about his background by clicking on “The Builder” link. But the quick version: Mark is a very talented and creative craftsman, with previous experience in home renovation. One of his specialities is fine woodworking and finishing. His portfolio of work includes a handful of homes scattered around the Cincinnati area. He puts a lot into his renovation projects, and considers them an outlet for his vision and personal expression. Oh yeah, and he loves Asian food. Especially Thai curries. That’s one thing I’ve learned about him so far anyway. And who am I, your trusty narrator? My name is Sam, and I’m working with Mark for the same reason that you may find yourself following this blog. My background includes building wacky things, sometimes for an Art context, sometimes not. 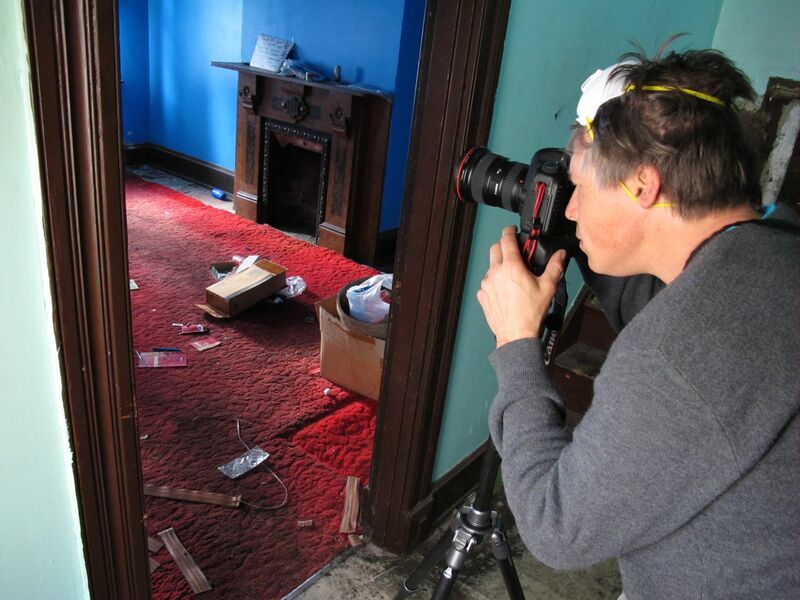 Right now I’m interested in working alongside Mark to soak up as much information as possible, to learn what is involved in taking an old historic home from 0 to 60. And the good news is that I’ll be introducing Mark to the basics of the blogging process so that you all can follow along as the project evolves. You can expect to hear little snippets and updates from both of us. Some of the images we’ll share are the result of local photographer Steve Paszt’s visits. Last, but not the least, the star of our show: Mr. House. It’s a turn of the century (1895) ‘shotgun’ style brick house. Remember when David Byrne (Talking Heads) sings “you may find yourself living in a shotgun shack?” ‘Shotgun’ is a style of residence commonly built throughout the southeastern U.S. prior to 1920. You see a lot of them in New Orleans. Mark’s house is two story building with a spacious cellar and three main rooms on each floor. 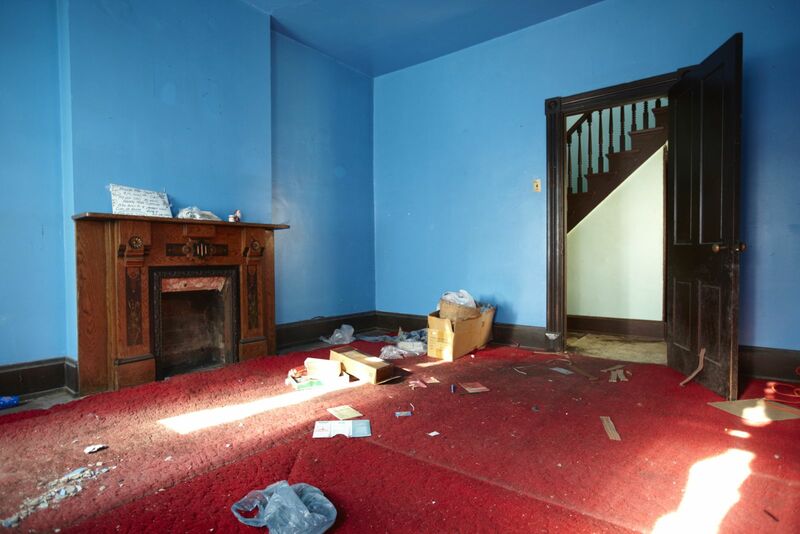 We’ll be preserving the integrity of the inner structure and historic flavor of the house while allowing Mark to leave traces of his unique design sensibility and artistic background. Slowly, the building will transform into a complete single family home. Still Curious? Check out the “The House” link.